Darklands is a skirmish fantasy game based in the lands that would become England in the year AD 650 – the Dark Ages. It takes the history, creatures, myths, and legends of that time, and puts forth a game and background based on blending them together. It's made by Mierce Miniatures (pronounced Mersh-a, like where Arthur found the coconuts) in the UK. What makes the rules unique? Players alternate unit activation, rather than one player moving all their models at a time. The game uses d10s (from 0-9) instead of d6s, which allows a wider variety in effects. 9's rolled function as critical successes, adding extra hits, dodges, damage, and sometimes even doing persistent damage based on the type of weapon dealt. For example, rolling a 9 with a flaming attack will set the victim on fire. As units are injured, they lose attacks and become even easier to injure. Sorcerous models can cast spells, but injure themselves in the process. Army organization is based around the general and commanders. A general can only command so many units before he has to bring along commanders to lead more units, rather than simply complying with a force organization chart. Each unit or commander is given a general order by the general (Attack, Hold, or Move) before the game and the actions that unit takes must be tied to this order. Units may only take actions that coincide with their orders; for example, a unit that has been told to Hold its ground cannot March to a new position across the board. (Of course, orders can be changed during the game.) In addition, unit activation must follow a set process, so players must plan ahead as to which units will have to activate first. The Albiann are based on the Picts, and ally with the Oghur (Ogres). The Atalantes are the Greek-based people of Atlantis, and feature Bronzed titans and weaponry able to fire beams of sunfire. The Brythoniaid are based on the Welsh, and balance the new growing Christian faith with their ancient pacts with dragons and dragon-kin. The Byzantii are based on the crumbling Byzantine/Roman empire, which has turned to demons (the Infernii) for aid in defiance of the Nailed God. The Erainn are based on the Irish, and feature celtic fiannas, bog-monsters, and tree-men. 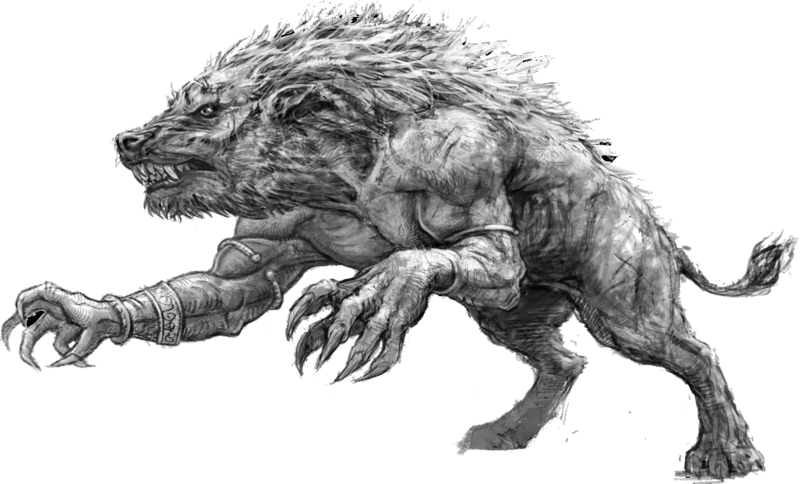 The Fomoraic are based on the legendary Fomorians, and feature man/beast hybrids and a variety of monsters, as well as human reavers who have adapted themselves to the cold. The Jutes inhabit the Isle of Wight and feature Skeletons, Wights, and insects. The Khthones are the former slaves of Atlantis, a race of lizards, snakes, and other reptiles bound together by their cold blood. The Norse are based on the Vikings, who raid the isles of England alongside their troll, giant, and raven-men allies. The Ysians are the Cornish and Bretons who have turned their backs on the rest of the English, and include barbarians and man-made flesh constructs. They are allied with the Vras, the rat-men who have made their home beneath what will become France. The Mierce Forums, a community of players and hobbyists who inhabit their own corners of the Darklands. Copyright © 2006-2019, John Bailey & Ryan Smith. All rights reserved. All images are Copyright © 2016, Mierce Miniatures. Used with permission.